One of the earliest buildings on campus is no longer standing, but played a significant role in College life throughout the twentieth century, and is thus represented on this tour. Situated approximately where Trexler Pavilion is today, Bernheim House, constructed in 1917 as the home of College treasurer Oscar F. Bernheim (1868-1946), Class of 1892, stood on the opposite side of Chew Street from the rest of the campus, the first building to do so. It was designed by Allentown architects Wallace E. Ruhe and Robert Lange and was funded by the Class of 1890. 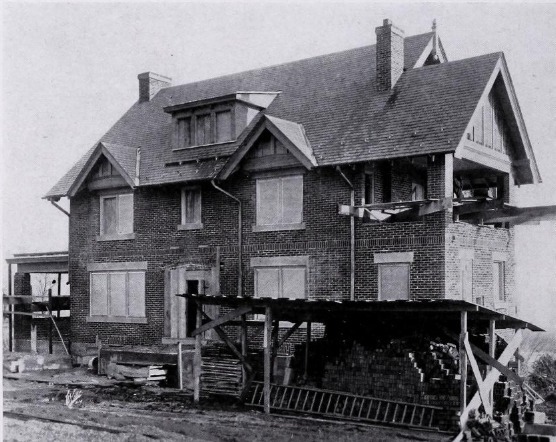 The home was constructed of “tapestry brick, with Indiana limestone trimmings” and was a particularly spacious three stories, with a distinctive porch on the second floor. 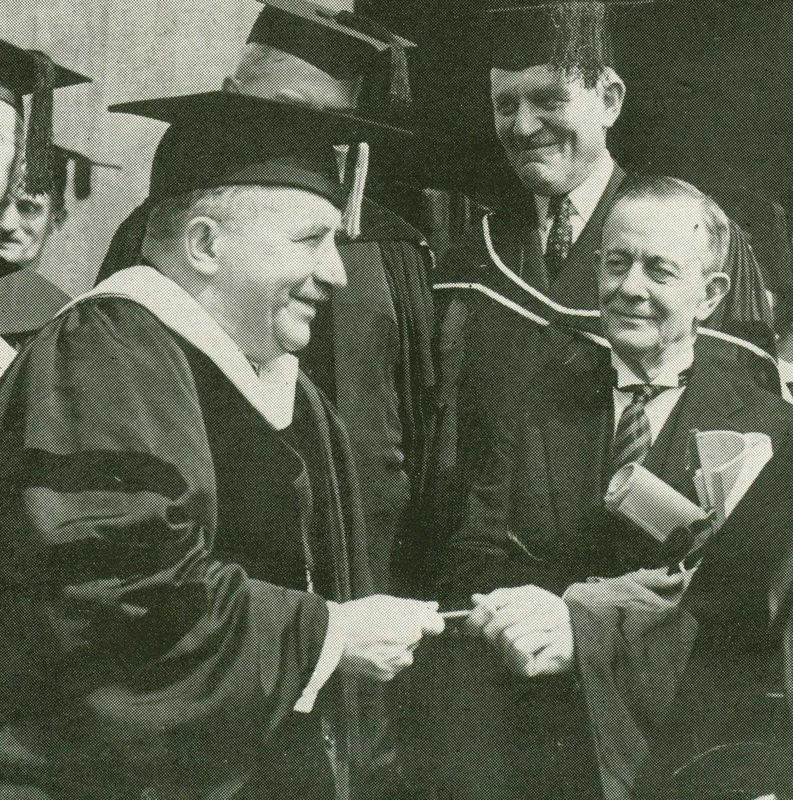 In 1907, Oscar Bernheim returned to his alma mater to serve, officially, as Secretary and Treasurer of the College. 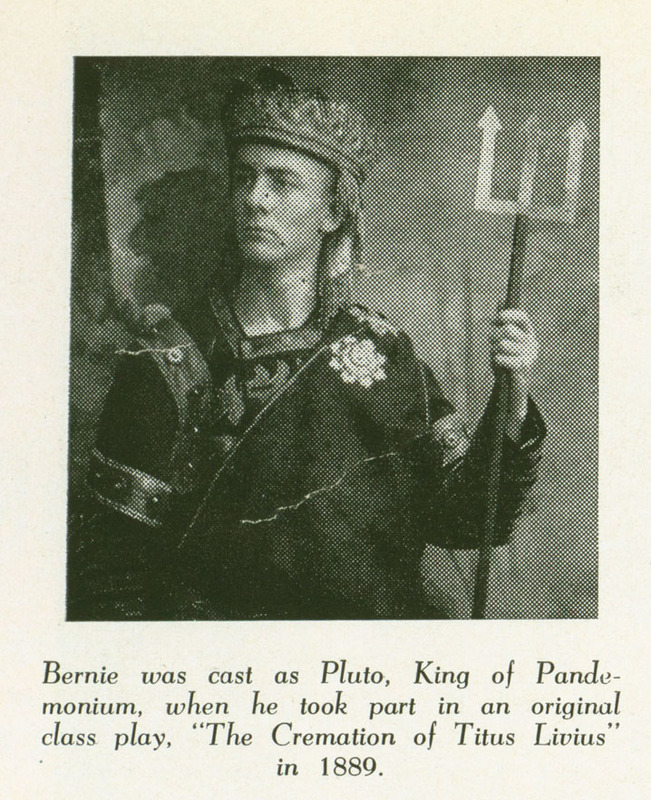 In reality, according to the Alumni Magazine tribute at the time of his death, “Bernie” served as registrar, bookkeeper, bursar, college printer, athletic manager, purchasing agent, alumni secretary, supervisor of buildings and grounds, and manager of the dining hall. Oscar Bernheim passed away on February 14, 1946 in the home, and the building was then used as a residence for a Dean of the College. 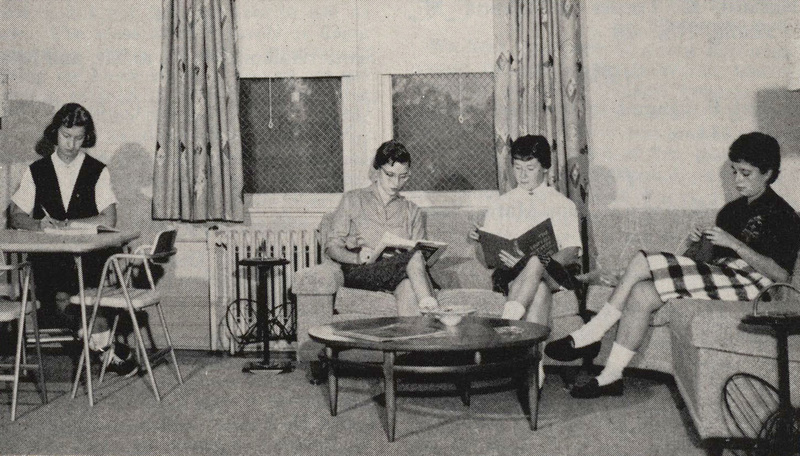 In 1959, however, early in the days of coeducation, the house was refitted as a residence for women who were training to become, essentially, resident advisors. 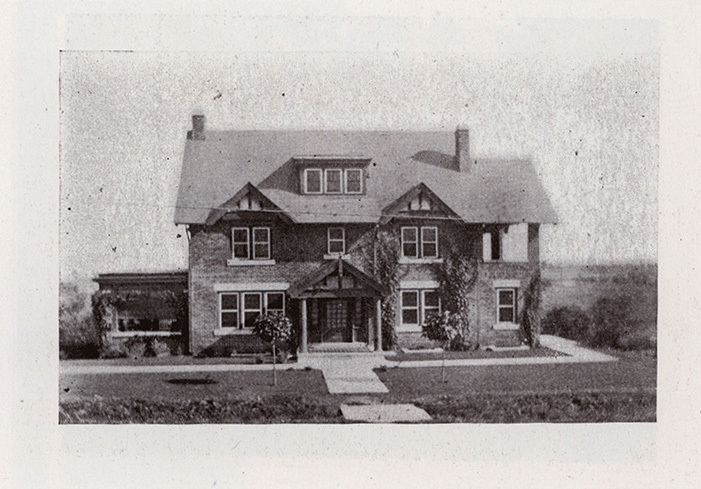 The home was christened “Bernheim House” in honor of its first resident. 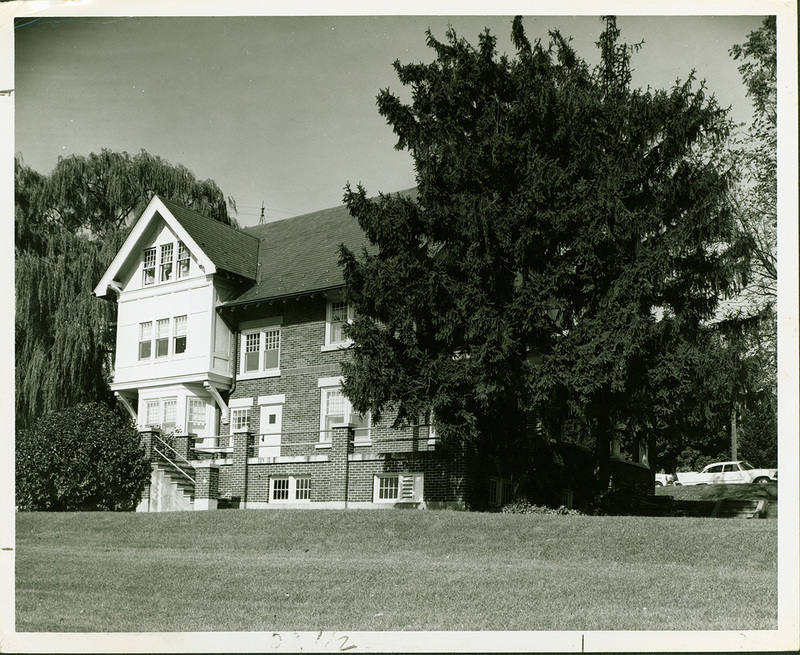 By 1968, the house had become a residence for female German majors, and it did not become coed until 1988; later, it became a house for performing arts majors. The theatre and film company “The Porch Room,” formed by four alumni who lived in the house in the 1990s, is named in its honor. In 1997, Bernheim House was demolished to make way for Trexler Pavilion. The area where the Bernheim House stood is considered the most haunted area of Muhlenberg’s campus. Tradition holds that, in his will, “Bernie” asked that his wife’s rose garden behind the house be preserved into the future. 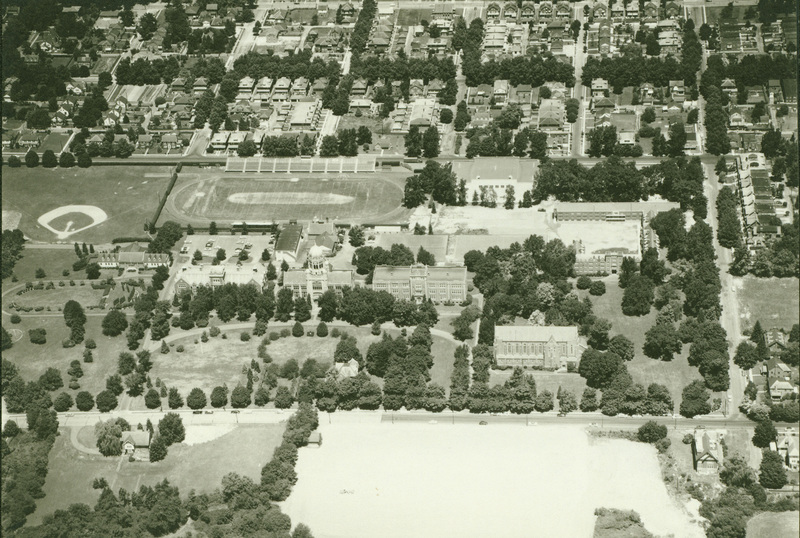 Benfer Hall, followed by South Hall, was constructed over the footprint of that garden. Keeping plants, especially roses, in your dorm room is supposed to keep the spirit of Oscar Bernheim away. 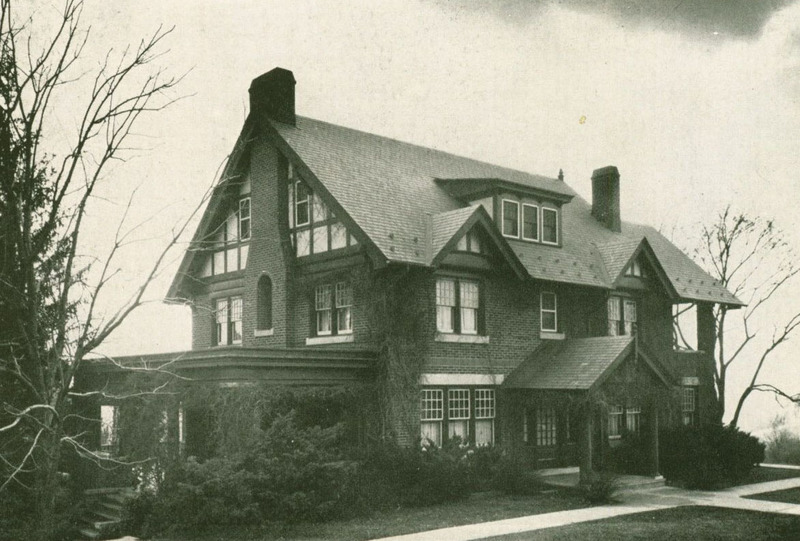 Special Collections and Archives, Trexler Library, Muhlenberg College, “Bernheim House (1917-1997),” Muhlenberg Pathways to Present, accessed April 23, 2019, http://pathways.trexlerworks.muhlenberg.edu/items/show/33. Published on Aug 20, 2018. Last updated on Sep 20, 2018.